Under pressure from local advocates, the New York Power Authority (NYPA) says it will take a second look at plans for a 16-MW Albany microgrid project to see if it can incorporate renewable energy. Governor Nelson A. Rockefeller Empire State Plaza. 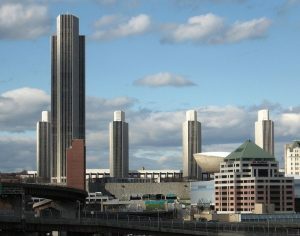 As originally conceived the Albany microgrid would use combined heat and power (CHP) to supply 90 percent of the power, as well as heating and cooling, for the 10 buildings at Governor Nelson A. Rockefeller Empire State Plaza. But the project has faced local protest for its reliance on natural gas and lack of renewables. Opponents have been pushing for use of geothermal at the site. NYPA initially settled on natural gas to fuel the microgrid rather than renewables because of the project’s dense urban location. 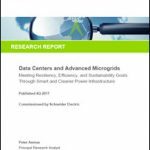 An initial assessment showed that the microgrid would need 1,000 acres of solar panels, along with another one to two acres for batteries. In addition, solar could not provide heat and cooling as CHP can, which adds to the project’s cost-effectiveness and efficiency. Now, NYPA has agreed to undertake additional study of the project to better evaluate renewable energy options, including large scale net metering for solar and wind. NYPA had originally planned to announce a contractor this quarter for the project, but will now revise the schedule. Working with the New York State Office of General Services, NYPA plans to seek input from the community, energy experts and advocacy organizations, with an eye toward incorporating community benefits into the project. The analysis and public input will help NYPA with the microgrid’s draft Environmental Impact Statement (EIS), which must undergo state environmental quality review. The project’s emissions goals are targeted to be in line with Gov. Andrew Cuomo’s Reforming the Energy Vision (REV) strategy to reduce emissions by 40 percent by 2030 from 1990 levels. NYPA hopes to replace aging diesel fuel-operated emergency generators and offset use of less-efficient gas boilers that now create heat for the campus. Under the original plan, the Albany microgrid would incorporate two 7.9 MW combustion gas turbines, heat recovery steam generators with duct burners, a new emergency generator, and microgrid controls that will allow the generators to island from grid during a power outage. What’s the best design for NYPA’s Albany microgrid? 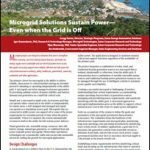 Post your ideas below or on our LinkedIn Group, Microgrid Knowledge.